Many residential and commercial real estate situations require a law firm that will articulate the legal complexities in plain language so that you fully understand your options, are empowered to make well-informed choices and look to reduce your adverse risks. KALIS, KLEIMAN & WOLFE’s lawyers are experienced in a variety of complex real estate transactions and mortgage loan transactions. We regularly represent owners, developers, investors, mortgage lenders, mortgage brokers, borrowers, landlords, tenants, and other real estate agents and professionals in residential and commercial real estate matters. 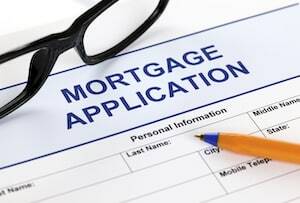 Our attorneys are regularly involved in mortgage negotiating, mortgage document drafting and closing purchases and sales, leases and ground leases, and mortgage modifications, mortgage financing and mortgage refinancing. We also handle reverse mortgages, short sales and mortgage foreclosures. Our mortgage clients and projects have included office buildings, commercial buildings, shopping malls and retail centers, health care facilities, hotels and resorts, mixed use buildings and facilities, and apartment complexes. KALIS, KLEIMAN & WOLFE is also able to search and clear titles, research mortgage histories, handle land use, zoning and permitting issues and conduct your real estate closing. We understand that each residential and commercial real estate mortgage transaction is unique to the situation and client. Our knowledge and experience enable us to take creative approaches and provide the highest level of personal attention and client service.